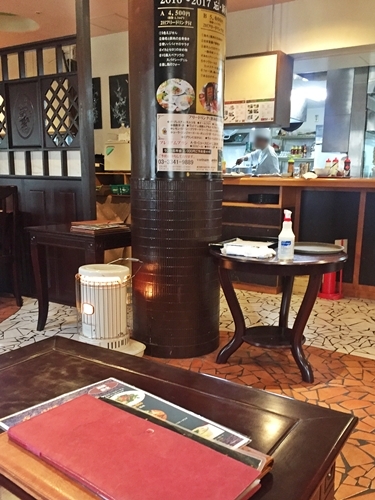 I visited in here at holiday lunch time. but unfortunately the tower hasn’t Observatory. I recommend, you going to Tokyo Metropolitan Government in Shinjyuku! because the observatory admission is free!! I checked restaurant guide book, that the shop in English available staffs. 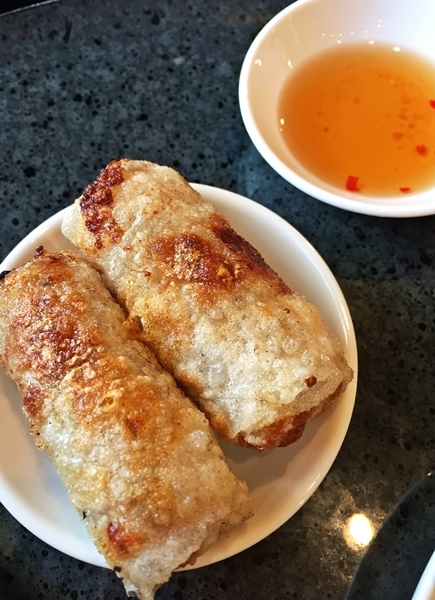 You can choice Appetizer A,B or C.
A:summer roll, deep fried spring roll and green papaya salad. B:steamed rice pudding, deep fried spring roll and chicken salad. 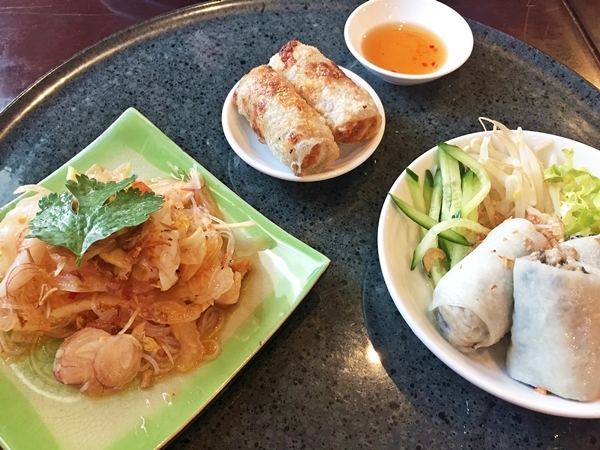 C:steamed spring roll, deep fried spring roll and seafood vermicelli salad. choice one Pho noodle from 8 kinds. choice Dessert or soft drink, vietnamese style coffee from hot or iced. I choose appetizer’s C, pho is “chicken and coriander leaves” and drink is vietnamese coffee with condensed milk. It similar Chinese rice rolls! It crisp texture! 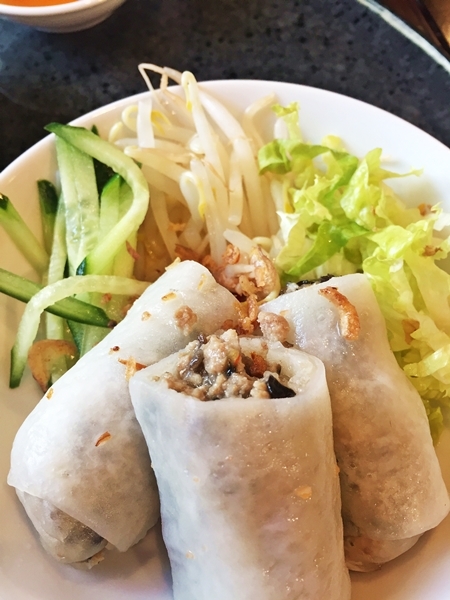 Indredients are pork minced meat and vermicelli, texture has elasticity. taste is sweet and sour, it little bit deffer Thai style vermicelli salad. 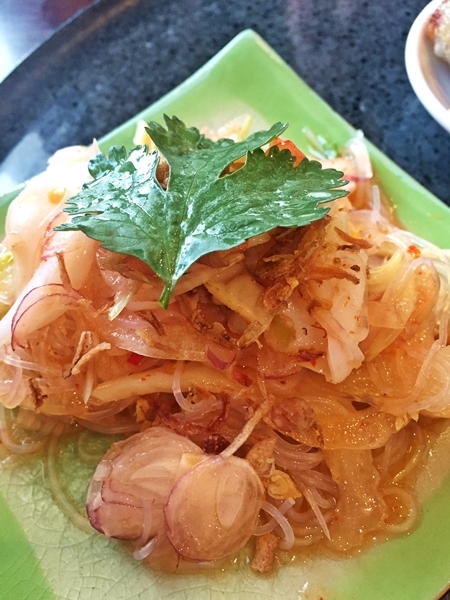 I like best Vietnamese vermicelli salad than Thai style. 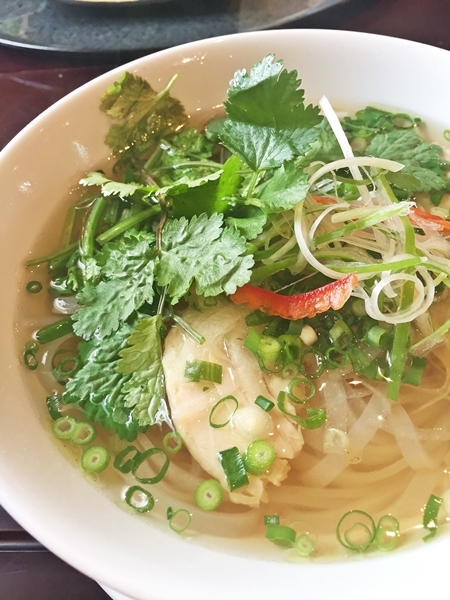 This is my choice that “chicken and coreander leaves” pho noodle. 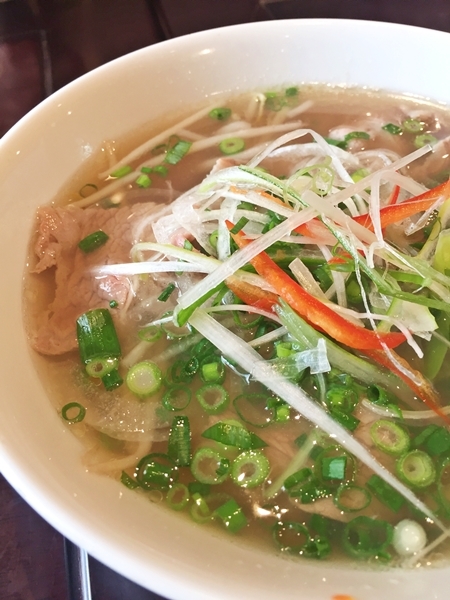 This is “thin sliced beef ” pho noodle. The soup is not thin and thick that ordinary taste. The noodle texture is elastic. 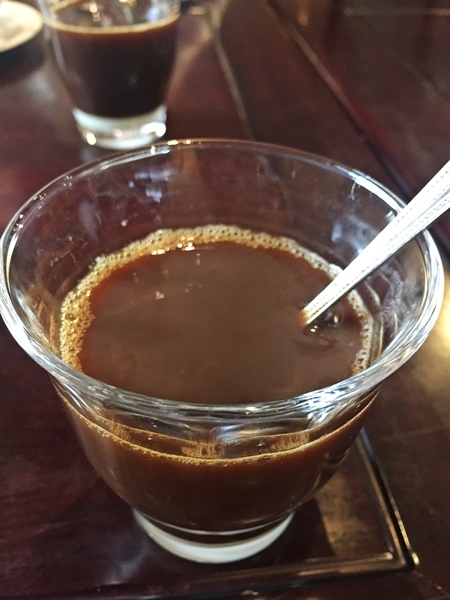 Hot Vietnamese coffee with condensed milk. 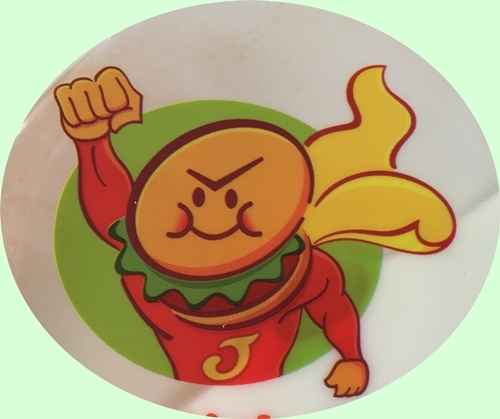 I think price is cheap, because the shop in center in Tokyo and including drink the meal! but week day lunch is more cheap that less 1,000 JP-en!